Who We are and How We do it! 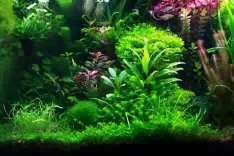 Aquarium plants and aquascape packages, useful information and how to's! 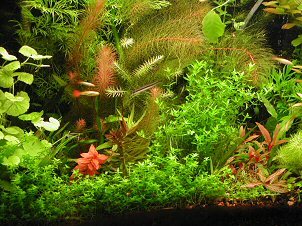 Aquarium plants, and information on "how to's" with freshwater. Aquarium plants and aquascaping information will be added on a regular basis. If you'd like to check back for coming articles of interest, you might want to bookmark this website! We offer aquarium plant supplements to keep your aquarium plants healthy! We want you to be successful in your aquarium! We understand that not all of you are experienced aquatic gardeners and need a little help. Questions are welcomed from you, we believe education is part of the joy of this wonderful and relaxing life experience. Any of your questions from freshwater plants to pond plants are welcome! To get your questions answered by email, Click Here. Or if you like, give us a call. We will guide you through the entire process from start to finish if you are a beginner with expert advice. We will also help you through any problems you might encounter after you have established your aquascape. We welcome any questions you might have before you get started, we want you to be successful! OUR OFFICE AQUASCAPE! Click on it for the show! * The biotope example is starting with the Amazon region of South America. CLICK HERE FOR THE AMAZON BIOTOPE! The S.E. Asian biotope is up, CLICK HERE FOR THE S.E. ASIAN BIOTOPE! There are aquarium plant layouts (aquascapes) with labels for you to try in your own setup. Aquascaping is a beautiful arrangement to create an "underwater garden". If you look in our photo sections, you can get some ideas to create your own beautiful aquascape. Now imagine that "underwater" garden in your office or family room! It lends interest and imagination to any room! NOTE: We are long time growers of live aquarium plants and we offer the ultimate live aquarium plant supplement to help keep your aquarium plants thriving. Please feel free to email or call us with any questions you might have, you will receive a prompt reply to your question. Aquarium plants, supplements to keep them healthy, and tropical fish are all part of our passion and you and your family can enjoy your very own aquarium or watergarden for many years to come. We are pleased to assist you to help create your very own minature biotope! We know you will enjoy it for years to come!